I like the drive.I upgraded from a 708UF.However the Roxio Software that ships with the drive is very unstable.As a matter of fact it installs a packet writer driver that will tear up your system.You can not uninstall this software unless you uninstall all the included software. The only way I can keep my computer from constantly rebooting is to turn off the 716UF. Plextor has been no help.The only comment they had was to take the drive back for a refund. Im currently using the software that came with my 708 drive and if I had the chance I would return the 716uf drive but my daugter managed to grab my 708 drive so Im stuck. If your first concern is quality then plextor is for you.If you're time is worth nothing, and you like the hair pulling experience of compensating for a poorly engineering product then plextor is not for you. Plextor's new AutoStrategy technology, allows perfect writes -- now more than ever.Verily Plextor can write ANYTHING ROUND.One may buy the cheapest media say $0.19 DVD-R and simply "sacrafice" four discs and the plextor (sanyo base) hardware in concert with the plextor (taiyo yuden assist) firmware will develop it's own customized write strategy to assure one receivesFLAWLESS BURNS that not only play fine in plextor but in other playback devices! The bundled PlexTools has most of the features one could want with any burner software.Its audio extraction mode FAR SURPASSES boring old EAC.For a few more dollars the PlexTools XL edition gives serious tweaking power to geeks. If you can honestly claim zero coasters you are probably using a Plextor! Got it two weeks ago from bestbuy.com for an amazing $171.00.The drive itself was manufactured Feb 2005. The drive is amazing.No coasters yet, I have been burning DVD+Rs, DVD+RWs and one DVD+R at 16x, and have had no problems at all.I will try a DVD+R DL soon, thanks to amazon.com's Verbatim DL DVD+R sale ($21.99-$8 rebate for 3). The utilities and software that come with it are the best. 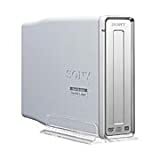 I bought this multi-format drive in order to burn home movies to DVD and back up data from the 'puter.Simply put, it rocks.It will burn any available format and is easy and simple to set up.Plus, it's good looking and, when mounted vertically, takes up very little desk space. For those of you looking into copying video,as I was, the kind of burner you get is only half the story.I had to upgrade my computer from 256k of RAM to 1Gb...yes, that's 1 Gig, of RAM.Otherwise, the rendering would take forever and you couldn't run any other processes during the copying.The software choices you make are also critical.The plextor ships with Roxio which seems to work pretty well, but I'm in the process of switching over to 1Click dvd copy which seems to work better for video. I buy a plextor about every other model.This one is a GRRRREAT replacement for my Toshiba laptop el-crapo-burner. 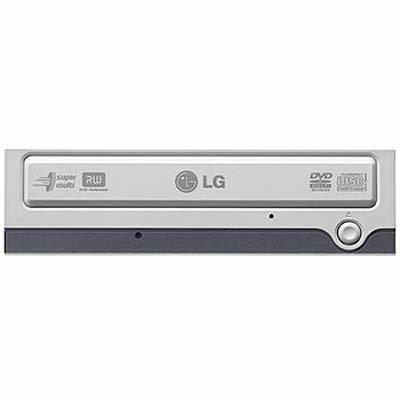 The GSA-4163B Super-Multi triple-format internal DVD drive from LG Electronics gives you an incredible 16x maximum DVD burn speed and 5x DVD-RAM writing. And you'll never have to worry about compatibility, since this drive is compatible with all DVD formats: DVD-R, DVD-RW, DVD+R, DVD+RW, and DVD-RAM. What's more, it also supports dual-layer DVD+R (8.5 GB). Its rear-panel E-IDE/ATAPI interface provides plug-and-play convenience. Now you can store almost 4 hours of video, hundreds of MP3 files, and gigs of original music, photos, or data, and burning your media will be faster and easier than before. 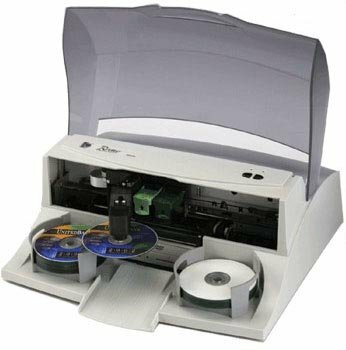 The recorder also performs burns on rewritable media at 8x for DVD+RW and 6x for DVD-RW and up to 40x for CD-R and 24x for CD-RW. 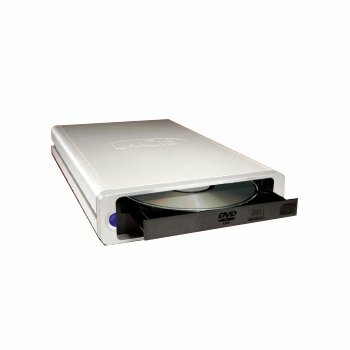 With the DVD "plus" format, you'll enjoy full compatibility with most DVD-Video players and DVD-ROM drives. DVD+RW discs require no finalizing: you can record, eject, and play them with minimal fuss, thanks to "background formatting." This feature, which lowers total burning time, is an advantage over the "dash" formats. Other DVD+RW advantages include on-disc content editing and multisession writing. DVD-RAM's superb access times make it ideal for non-linear editing on your PC. Find out for yourself which format will work best for you--this drive will work with all of them. The GSA-4163B's 2 MB buffer uses SuperLink buffer-underrun error protection to ensure accurate burns every time. Supplied software consists of Ahead's Nero (CD/DVD recording software), Nero BackItUp (back-up software), Cyberlink PowerProducer Gold2 (DVD authoring tool), and Cyberlink PowerDVD (DVD playback software). Burn fast, burn right with the LG GSA-4163B. This is the first review I've written, and I wouldn't be doing it if I wasn't so impressed by the product. I've had this drive for a few weeks now, and I couldn't be happier.That's rare for me to say about computer product. First off, this isn't totally an LG drive. 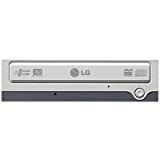 LG and Hitachi teamed up to create a line of DVD burners.From what I understand, Hitachi is pretty much the brains behind the drives, and LG's part is their marketing muscle. Burns are quick at 8x on DVD+ discs, using a brand that's rated for 12x on this particular burner (Verbatim disks seem to be a good choice). I'm getting burns around 5-7 minutes, with the 7 minutes being for disks that contain almost 4.5 gigabytes.Verification shows no errors, and I find actual practice bears this out. It's very quiet, which is a definite plus -- my CDRW sounds like a jet building up thrust for a takeoff. Bottom line: Now that I have a DVD burner, I can't imagine not having one. Sure, there are some things I wish it would do, and some things I wish it would do better. Still I don't think there's drive on the market that does absolutely everything perfectly.For me, the price/perfomance ratio can't be beat. If you've been wanting a DVD burner, I think is one of the batter choices. (As someone previously noted, it's an "editor's choice" at several review sites. I heard so much about Pioneer DVD burners that the first drive I bought was Pioneer 1x drive DVR-104. I never liked it, because it would give me discs with errors from time to time. And it made horrible noise while reading CDs! So, a few weeks ago I wanted to upgrade and I got.. well Pioneer again! I thought that was just one problematic drive. I got DVR-109 this time. Stay AWAY from that drive! I had 3 types of media and it would only burn them at 1x! So I got rid of the Pioneer DVR-109. And finally bought this LG SGA 4153B drive, I read many good things about it, but after the Pioneer experience was somewhat skeptical. This drive is GREAT! So far I only had 2x media to test it with: TDK, and two no-name brands. All were labeled as 2x and I was able to burn them as such. After burning each I set the Nero to verify and all passed. Movie was tested on Apex and Sony standalone DVD players without any glitches. This drive actually carries its logo proudly on the front, unlike the Pioneer which didn't specify the brand anywhere on the drive at all. Also couple of words on operation of the LG GSA 4163B. When reading DVDs it is very quiet, so it is perfectly suitable for watching movies. Eject/close operation is very smooth and the drive bay doesn't slap like in the cheaply-made drives. I think this says something about this drive's overall construction. Reading CDs is also smooth. You can hear them spinning but not in an intruding way. I recieved this drive from a relative as a present two weeks ago and have been please with the performance and ease of use. This is the first DVD burner that I have owned. I also liked the fact that it came with interchangeable bezel (the plastic facade that you actually see once it's in...) in black and off-white, so that I could match it to my black case. The burner maxed out at about 10.5x write speed on 16x Verbatim DVD-R media. I assume that is pretty standard as I have never had a CD burner that lived up to the fake ratings they put on the box to sell them. I look forward to backing up all of my photo's to a Dual-Layer disc or two soon, instead of the myriad CD's that they are on now. I didn't like the fact that Roxio Media creator suite would not copy any of my DVD's. I downloaded DVD Decrypter and DVD Shrink (yes they are legal, otherwise the DMCA/MPAA would have shut the sites down) and have copied a few DVD's for home use. It's nice to know that I have a copy that my kids can't ruin. Or I guess, one they can ruin and one they don't have access to. The Plextools software with the Drag-to-disk feature is pretty cool also. I enjoy just selecting a bunch of files and dropping them onto the little DVD window that you can place above the system tray/clock. It even gives you the option to not finalize the disk if you wan't to add more data and finish it later. Only problem is that my short memory can't keep up with which recent pictures that I or my wife took are actually on the CD. You have to read it with the Plextools app. That is okay with me to keep from wasting 25% of perfectly useable space on my DVD. I'd say I'm happy but I'd be happier if Roxio would let me make fair use copies of encrypted DVD's (umm, I think that's every DVD now-days). The decrypter/shrink programs are a little tooin depth for the amount of laziness that I wan't to keep about me in copying DVD's. I'd rather use a "set it and forget it" program. Since Roxio can't do this, and I don't feel the need to create fluff picture slideshow DVD's to send to my relatives, I'll stick with the Plextools and other programs for my needs. If you're rating this just on the hardware though, this is a great buy. This DVD-RW will run rings around the other DVD-RW drives and it can burn 8x media at higher speeds. It also got 10 out of 10 stars and a maximum kick a** award from Maximum PC Magazine. Excellent product!! 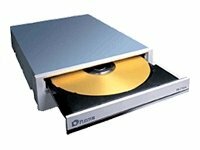 I've owned many optical drives over the years, several of them Plextor. I'd always been happy w/the Plextors, but I never had one fail on me, so I'd never had to deal w/the company. I bought the 716A online (not at Amazon) back in January. That online merchant's policy was that any warranty problems had to be dealt with directly w/Plextor. I didn't think much about that at the time, since I'd always had such good luck w/my Plextors. Within a week, the 716A I'd purchased began to fail. Within 2 weeks, it would no longer read or write a disk. Even tho this problem w/this particular drive has been pointed out on several forums, Plextor tech support has a very rigid diagnostic routine they insist you perform. Once I'd proved to them that yes, the drive was indeed bad, they gave me a "ticket number" that I had to use to then contact their RMA dept. I submitted the online form I was told to fill out, and received an RMA # w/a lot of boilerplate rules for returning products. One of the rules was that the customer paid shipping costs to Plextor (Plextor pays them back to the customer). Surely, I thought, since the drive went bad after only a week, and since the company makes such fine products, they would be happy to pick up the drive, since it was so obviously defective. I was wrong. Not only would they not pay the shipping to them, they would not reply directly to my emails--they just kept sending me the boilerplate rules over and over, no matter how I begged or pleaded in my emails for them to respond. I assume they wanted me to read the part that said the customer pays shipping to, "No Exceptions" (their words). So, defeated, and holding a useless $130 drive, I reluctantly ponied up the $11 shipping via UPS (the least expensive secure method that can be tracked; Plextor recommends against using U.S. Mail). From the time of my first email (which had actually gone unanswered) to when I had the replacement drive in my hands, was nearly 2 months. But wait, it gets better. The replacement drive, which was supposed to be new, has now failed. And more quickly than the first one did, in under a week of regular use. It has failed in the exact same way as the first one. As Plextor tech "support", and the RMA dept especially, are not very helpful or sympathetic, I have written an email to their Public Relations dept., describing my situation. I have yet to hear back. At this moment I am out the $130 for the drive, plus the shipping costs, and I have no doubt that, given their initial attitude, Plextor would want me to pay shipping again to send the second bad drive back. I seriously doubt I'll ever deal w/this company again. For perfect DVDs, this drive is fast and smooth.However, when it encounters a bad block on a DVD, it spends over a minute fiddling with itself trying to read that precious block.Meanwhile, the movie is frozen.This makes it almost unusable for DVD playback.I broke a brand new Incredibles DVD from its case, and that played perfectly.But any DVD that has the slightest imperfection is a problem. I haven't tested the recording capability.I was hoping to buy only 1 drive for both playback and recording.This one doesn't fit the bill. I recently purchased this Iomega burner to burn DVDs from my Mac ibook G4 (purchased in Jan 2004). Right out of the box, this drive was ready to go to work.Thus far, I am very pleased with my purchase. Using third party sharware (available on www.mac.com) and Roxio Popcorn, I find it very easy to burn DVDs using my mac laptop.I did not install and presently do not use any of the programs provided by Iomega.Using other programs I have experienced very few errors, so I consider it reliable after using it to burn roughly 25 disks.I have not tried to burn data disks or record from a VCR. With my processor speed, it takes about 20-30 minutes to burn and finalize a 4.7GB DVD-R.Having discussed this product with friends - processor speed will greatly impact the time it takes to burn a DVD.A friend with an older Mac Powerbook (at least 3yrs old) reports that it can take up to 2 hours to burn a disk, whereas another friend with a G4 ibook (only a few months old) says that he can burn a disk in 15 minutes or less.If you have an older computer, it may be worthwhile to upgrade the entire system before purchasing a drive like this one. The drive weighs less than I expected - so it is compact and portable, if you wanted to take it somewhere or carry it in your backpack.By comparison,it weighs roughly half of the weight of my La Cie external harddrive. When it's copying a disk, it does "hum," but the sound is by no means bothersome. Additionally, there are some maufacturer's rebates floating around on the web (Spring 2005) and the price is steadily dropping on Amazon and elsewhere.I think this is a solid buy and Mac-users, don't fear, this drive will work. I've always been a sucker for the iomega/bernoulli promise: a little hardware device with swappable media and big storage. But true to form, this drive delivers a large bill of goods and is short on (third party) software fulfillment. It did install nicely, although there are a updates to apply.The DVD reads smoothly over a network - perhaps due to the slow USB speed.The "Hot Burn" software makes an adequate cd/dvd data disk.But what frys me is the DVD movie creation software - it will not install at all -- says it wants windows media player 7.1 or greater -- is the top issue on the support website -- they have a lame fix and involves unstalling media player then reinstalling an earlier version.Right! I also fell for the "REV" drive - boy does it's backup software bite the big one! If you just want hardware to use folder options with you will be fine.I wish iomega wouldn't lo-ball with their third party included software. This USB DVD burner 16X (33068) is made by Lite-On ! I am testing this USB DVD burner after receiving 3 days. Be aware of this USB drive if you intend to use your owned solfware to burn DVD. 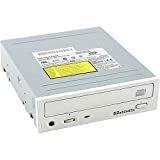 Because you sometimes need to use a different burning DVD solfware to match with every entire drive on your PC's, this drive is easy to be hung up due to the speed of its USB 2.0 connection and its microcode. Everytime it happens to be hung up, you have to unplug the AC connector at back of PC. This is a worse case to be avoid in multiple disconnection of the main power plug. About double layer! Only one format on every PC is a basic concept of application. Two formats between single and double layer can not be used on the same PC for reading and writing on both single and double layer drives. For example, the format of a disk making from a single layer drive can not be used on a drive of double layer. 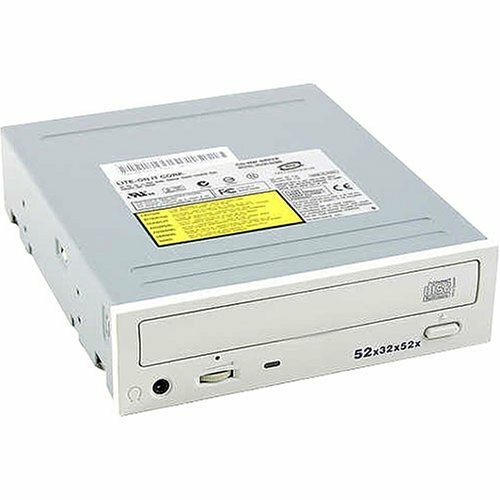 Therefore, the burning DVD solfwares are very different between the old and new drives. Other words, this drive is made by Lite-On company. It is an OEM product. So far during testing, its drive is recognized by Window XP right away because it is certified by the big PC Window operation. The speed is of course slower than its spec due to USB connnection. Finally the hung up problem is very tough for every company that is making a USB 2.0 DVD burner. This hung-up depends on the mother board, the speed of CPU and layout/design of each PC company. So its microcode drive needs to be updated time by time for improving its operation if its company wants to do so. After 9 days of testing, the pros and cons are as follow. _Read and Write movie files are faster than any 16X internal drive on P4 533FSB and 800FSB of desktop. _R/W is also fast enough at = or >1.6GHz on Centrino laptop. 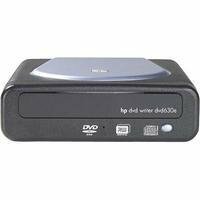 _Write compress movie files without any errors and its format (compress file on a single layer) is played smoothly on any progressive scan DVD player. _R/W mode is very slow on P4 Mobile 2.0GHZ 400FSB on laptop. _Time response to CPU through USB 2.0 is slow as easy to be hung up if mouse button is pressed during this burner on its incomplete stage. This means hitting mouse button too fast should get hung-up. _USB 1.1 is not acceptable to play any movie on this burner. _Removing USB connector without stopping UBS bus should get hung-up. 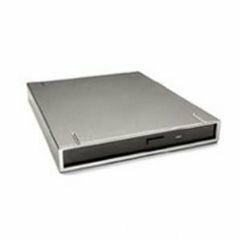 The 16x Dual Format, Double-Layer DVD Recorder ushers DVD Recording into a new era. The dual format capability takes the guesswork out of choosing the right discs, while the double-layer feature allows for the creation of DVD+R9 discs with as much as 8.5 GB of data. A comprehensive and powerful software suite from Nero makes recording CDs and DVDs easy and fun. I received this drive from Circuit City and there was no sales receipt with the order. I notified Circuit City that I would like a sales receipt in case I needed warranty service. Needless to say I never received it. Hasta la vista Circuit City--I'll shop elsewhere from now on. After my Yamaha EZ3200 bit the dust after a year (run don't walk away from any Yamaha cd-writer....they no longer manufactur cd-writers and will not provideany support for them), I needed a quick replacement.Enter this Lite-On CD-RW.Not only is the cost terrific, but it is was a breeze to install.I've been usingthis writer andNero software for about 2 months now. I've just made it through my first 50-pack of cd-rs and have not burned one coaster yet! I would recommend this writer to anyone looking for a effective and inexpensive replacement for their old or burned out cd-writer. Bought this unit on newegg.com for a much better price. I had an easy install replacing my old cdrom/dvd drive. I was very pleased for two weeks. I only used the thing about four times. About two weeks after installtion I tried to open the tray and it didn't open. I also have a zip drive on the secondary IDE which was also dead. I took the drive out and put my old cd drive in and everything worked again. I emailed liteon support. Ten days later they responded. They gave all the right steps to reinstall, but this unit is dead. I wouldn't buy this one again. What in the world... 5 people just happened to post gushing reviews for this drive on the same day. AMZ, you may want to do some checking into these. I like the drive. I upgraded from a 708UF. However the Roxio Software that ships with the drive is very unstable. As a matter of fact it installs a packet writer driver that will tear up your system. You can not uninstall this software unless you uninstall all the included software. Plextor has been no help. The only comment they had was to take the drive back for a refund.